Do you have a weather application (app) on your phone? How about an app that warns you of poor air quality that might trigger asthma? Or an app that walks you through the steps of testing a well? Phone, desktop, and website apps have the power to inform, prevent harm, and educate. By integrating technology and environmental health, we can create a culture of health that uses public data to create innovative tools and resources for communities. By way of an app challenge, teams of developers and creatives compete to build apps that solve environmental health issues. For example, apps might function to serve as a way to share symptom data, create community around alternative forms of transportation, educate individuals on health risks – the opportunities are endless. 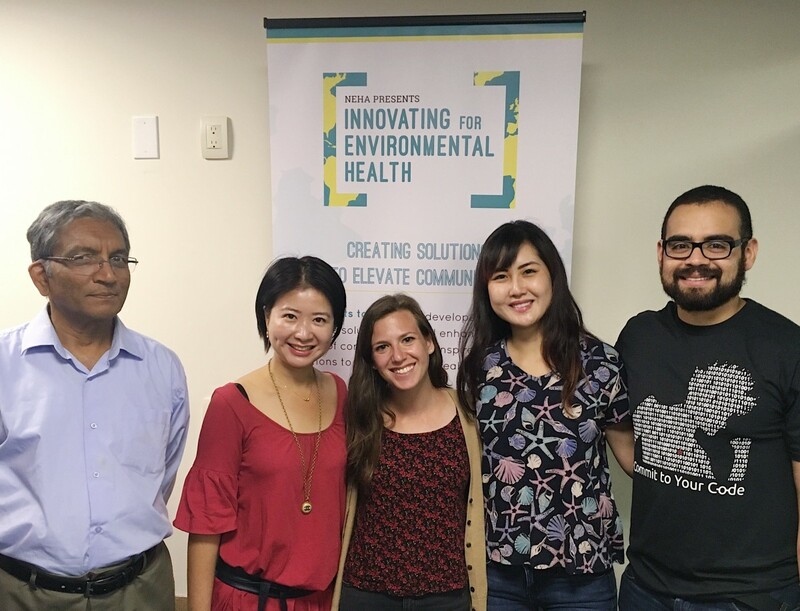 This year's Innovating for Environmental Health App Challenge launched in April; NEHA participated in a weekend-long hackathon event as part of AngelHack's Global Hackathon Series. Our participation in this summer's hackathon series is a continuation of a partnership that was developed in summer 2017. The first event of the summer was in Silicon Valley, CA at the end of April. NEHA attended the event to share the environmental health perspective and propose a challenge statement for attendees: develop a solution that informs the disaster cycle (defined as disaster preparedness, response, and recovery). 2017 was a devastating year of natural disasters, including flooding, wildfires, earthquakes, hurricanes, drought, and more. Environmental health professionals are an integral part of the disaster cycle, ensuring that food, water, and shelter is safe, implementing strategies for vector control, removing hazardous waste, and more. 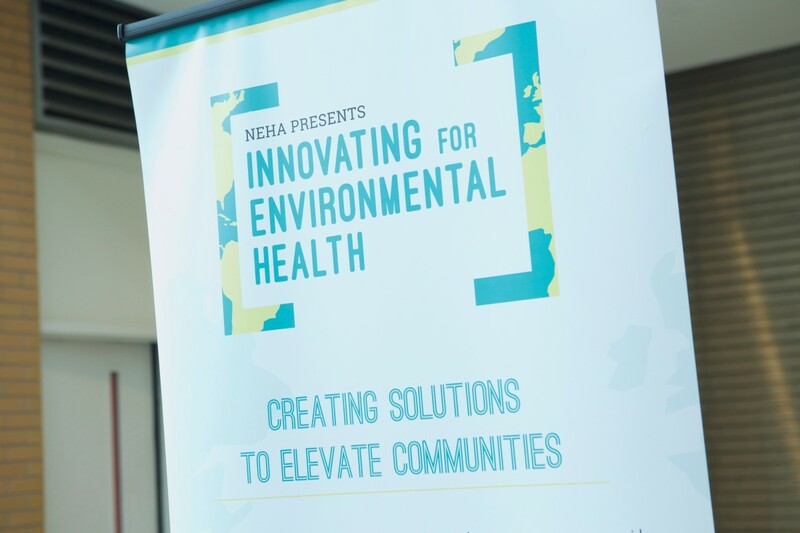 Through NEHA's participation in the event, we were able to shine a light on the important role that environmental health plays during disasters, and work with innovative groups that included coders, designers, and subject matter experts, to develop technology-focused solutions. The winner of NEHA's challenge statement was team Get-A-Way. This team developed an app that supports the disaster response process by helping individuals who are stuck during disaster. By using the app, individuals can call for medical assistance, directions to safety, or extraction from a danger zone. A representative from the winning team attended NEHA's AEC to present on this innovative app and receive the Innovative App Award at the Awards Ceremony. NEHA will participate in the second hackathon event of the summer at the end of July in Seattle, WA. The 2017 Innovating for Environmental Health App Challenge, sponsored by Hedgerow Software, launched in May. NEHA participated in a series of weekend-long, in-person events as a part of AngelHack’s Global Hackathon Series, during which teams competed to build community-focused apps. The first event was in Los Angeles May 13-14, followed by an event in Detroit, MI on May 19-21, and the final event in Silicon Valley, CA on July 29-30. NEHA, along with local environmental health professionals, attended these events to advocate for EH and to inspire and guide teams to create apps that will help solve water quality issues and better utilize EH data. Apps addressed increasing access to safe drinking water, reducing disease outbreaks, projecting the spread of vector-borne diseases, and much more. At the end of these events, NEHA selected winning teams, two of which attended the 2017 AEC in Grand Rapids, MI, and one that will attend the 2018 AEC in Anaheim, CA. 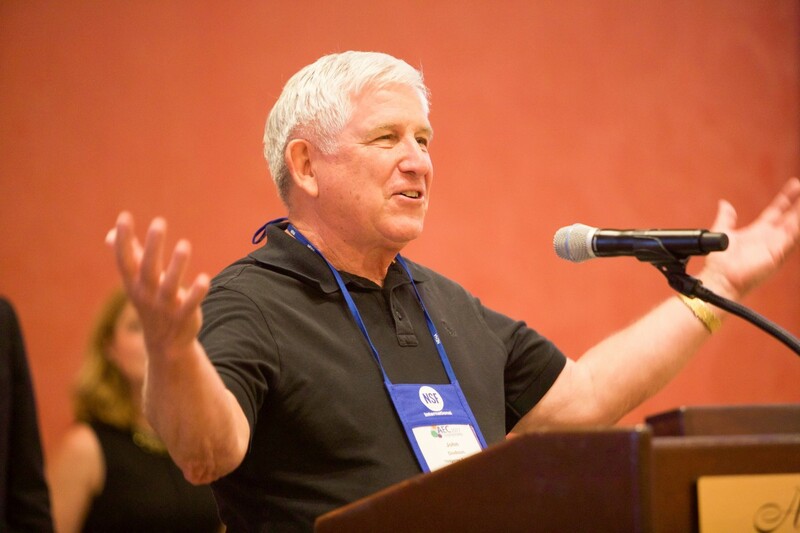 If you’d like to learn more, please contact Solly Poprish at spoprish@neha.org or 303-756-9090 ext. 335. The first hacakthon event that NEHA attended was in Los Angeles, CA on May 13 and 14. During the weekend, over 100 participants competed, and five unique apps were submitted that aimed to solve water quality issues. LA County Department of Environmental Health staff attended to provide on-site support and local EH perspective. The weekend's winning team was AquaData, who created a reporting app that enables users to report location based data such as water leakage from pipes and spills. The data entered into the app is then translated into reporting format and sent directly to relevant agencies to repair the issues faster. The second hacakthon NEHA attended was on May 18-20 in Detroit, MI, led by Wayne State University. Over 200 participants participated in the weekend! 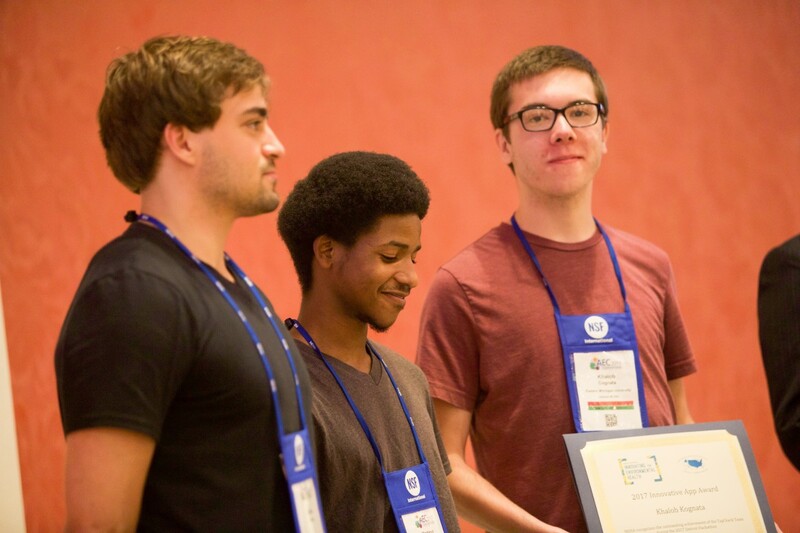 The winning team of the weekend was TapCheck, who utilized EPA publicly-available water system data to create an app that instantly provides drinking water quality information based on geographic location and the corresponding municipal water system. Both teams attended NEHA's AEC in Grand Rapids, MI where they presented their apps during an education session and received the Innovative App Award at the Awards Ceremony. It was exciting to introduce developers to the environmental health community, and to see the tangible potential of bringing these two areas together. NEHA participated in the final hackathon of the summer in Silicon Valley, CA on July 29 and 30. The weekend had over 300 attendees, and over 10 apps were pitched to NEHA, each with the mission of better utilizing environmental health data. The winning team created Safe California, a platform and model for easily sharing EH data in order to educate and empower residents. The weekend's winners will attend NEHA's 2018 AEC! In March 2016, NEHA, with the support of Hedgerow Software and the Environmental Systems Research Institute (Esri), launched the first Innovating for Environmental Health App Challenge. Individuals competed to develop apps that would achieve one of the Healthy People 2020 EH objectives, as identified by the Department of Health and Human Services. A total of 13 apps were submitted that varied in EH topic and user audience. The first place team developed Biky, an app that integrates alternative transportation, physical activity, and community building to tackle air contamination and promote a healthy lifestyle. Angela Jimenez attended the AEC on behalf of her team to present and receive the Innovative App Award. 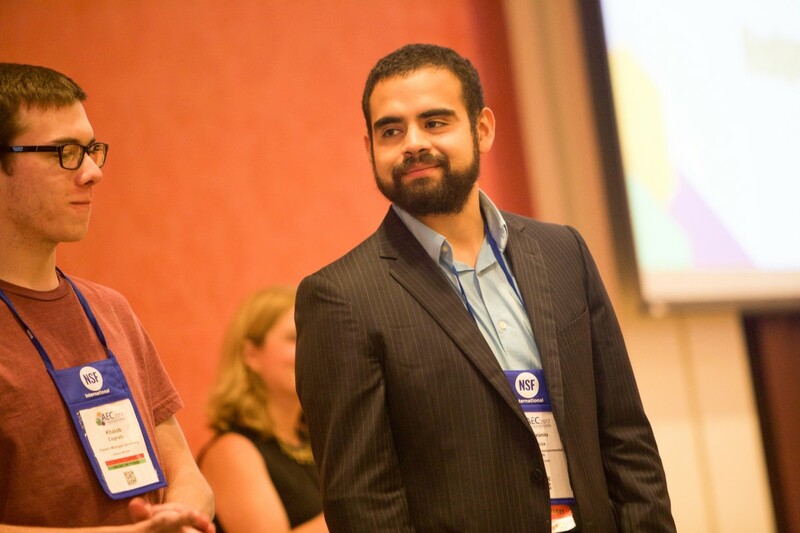 You can learn more about last year’s app challenge and submissions by visiting our devpost page.